Rhodochrosite is a manganese mineral with the chemical formula MnCO3 - manganese carbonate. When pure, rhodochrosite has a red / rose-red color, but the pure form is rare and rhodochrosites can be anywhere between pink and brown, with pink being the most common color. Rhodochrosite is relatively soft (3.5-4 Mohs) and also splits easily - and so is difficult to cut into gems; however it may sometimes be seen faceted. A quick online investigation will show rhodochrosite cabochons and beads, rhodochrosite jewelry, carved objects and sometimes faceted gems on sale - although these are considered to be too soft for general jewelry use and are considered the fare of mineral collectors. 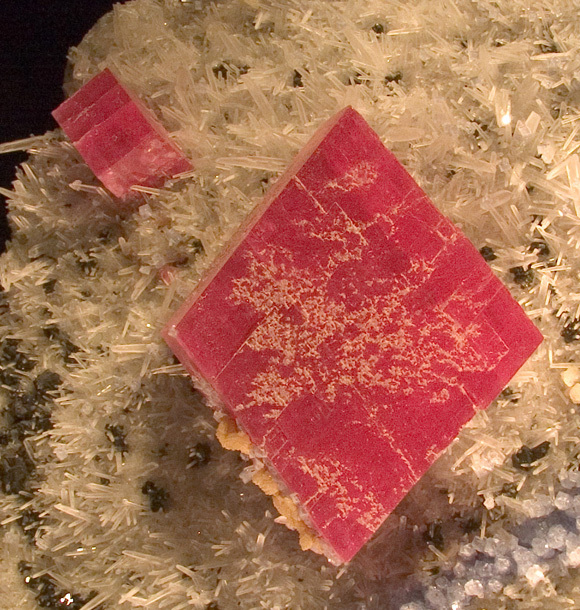 Rhodochrosite was first described in 1813 from a sample found in what is now Romania. 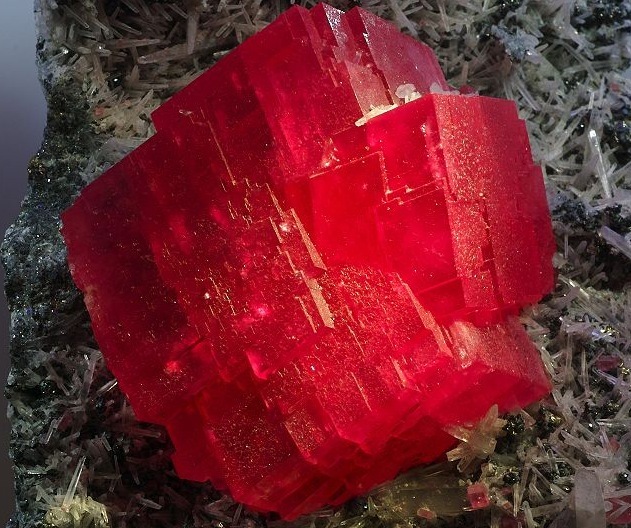 In 2002, rhodochrosite was named as the official "state gem" of Colorado, USA; as a mine in Colorado, the "Sweet Home Mine" in Alma, Park County, Colorado, produces some of the best red rhodochrosites in the world - including the "Alma King", the biggest known rhodochrosite specimen. 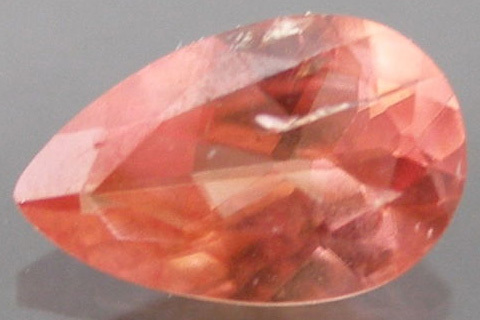 This famous gemstone can be seen in the second of the two images above. Alma King Rhodochrosite - the world's largest known rhodochrosite crystal.